The award for the tiniest cairn I’ve seen was this small pile of stones that I photographed near the summit of Slightside one summers day. 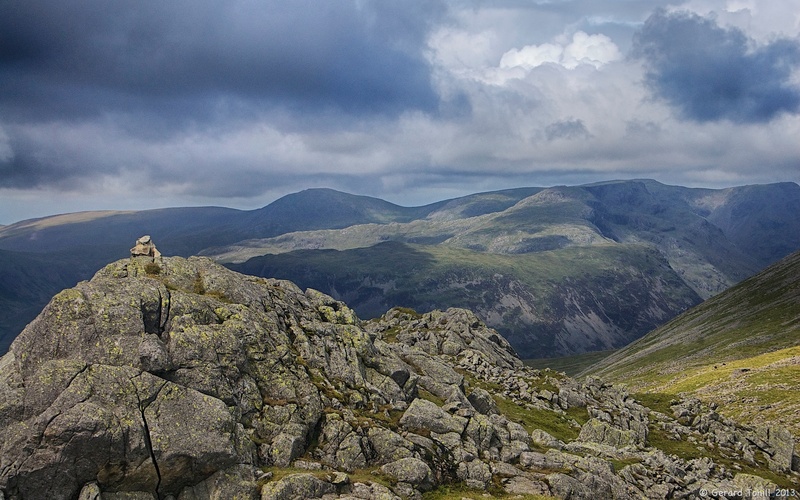 Slightside lies on the southern approaches to Scafell, on one of the less frequented paths to Scafell – I walked for nearly three hours and did not see a soul – quite remarkable for a summers day in the Lake District. In the background are some of the western fells, including Yewbarrow, Red Pike, Scoat Fell, and Haycock.